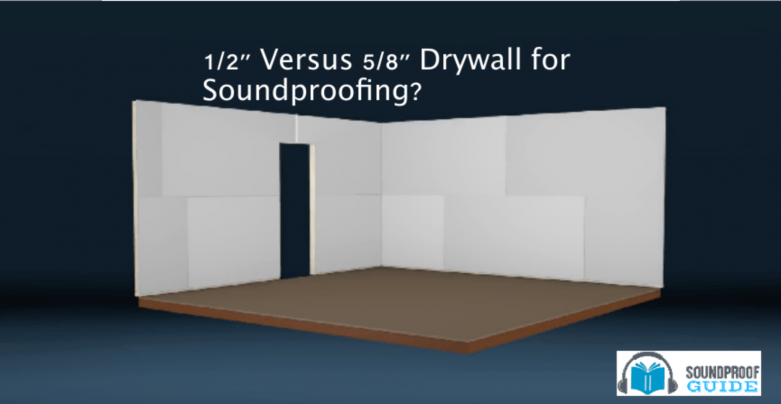 Blog 5/8" vs 1/2" Drywall - Best Soundproofing Sheetrock & Wallboard? If you’re thinking of soundproofing a wall in your home, what thickness wall boards will work best? The drywall thickness you apply on the wall will undoubtedly affect the level of soundproofing you’re going to acquire. 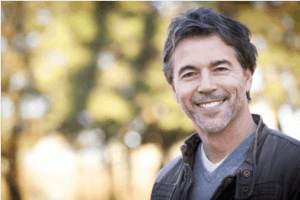 In this article, I will discuss the difference between 5/8″ sheetrock vs. 1/2″ sheetrock and which one is best to soundproof a room. Why is 5/8″ Sheetrock Better Than 1/2″ Sheetrock? Why Chose 5/8″ over 1/2″ Wall Boards on the Ceiling? Why Installing 5/8″ Drywall on the Wall’s Better Than 1/2″ Drywall? Cost Difference Between 5/8″ and 1/2″ Sheetrock for an Entire House? Is 5/8″ Drywall Sheets Too Heavy to Handle Versus 1/2″ Drywall? Best Places to Use USG Ultralight 5/8″ Wallboard? If you’re in the process of building or remodeling, you should consider installing 5/8″ wall boards on all walls and ceiling in your home. Typically in the last 20 years or so most homes will have 1/2″ sheetrock on the walls and 5/8″ sheetrock on the ceilings. Of course, the reason some people use the 1/2″ and not the 5/8″ drywall on the walls is for cost savings, but I will be talking about the actual cost difference below. The reason most builders use 5/8″ sheetrock on the ceiling is that that thickness of sheetrock is much stiffer. Another reason to go with a 5/8″ on the ceiling is that you will greatly reduce the chance of the sheetrock bowing between the ceiling joist, especially if they’re on 24″ centers. Of course, when you use a thicker product, you’ll have better soundproofing. Like I mentioned, most homes these days will have the 5/8″ on the ceilings and 1/2″ sheetrock on the walls. I’m a big fan of using 5/8″ wallboard everywhere in the house. The reason for my 5/8″ preference is because when we frame a house with traditional lumber (Although we use finger jointed lumber most of the time), the 5/8″ is much smoother sheetrock by making all the inconsistencies disappear. All the inconsistencies between the studs are gone giving the walls a much better finish overall. Another reason the 5/8″ is better for soundproofing is the obvious, the thickness. More thickness means more mass and more mass means better soundproofing. The 5/8″ is also more durable sheetrock versus the 1/2″ option. You’re probably wondering what the difference between the two different thickness of drywall would end up costing you if you decide to go ahead and install the 5/8″ throughout the house. The cost difference is quite negligible, to say the least, especially when you consider the difference in quality and durability. To give you an example, for a 2200 square foot home it cost roughly 300 dollars more to change from a 1/2″ to 5/8″ wallboard. You should ask your builder how much the upcharge would be to change from a 1/2″ sheetrock to a 5/8″ sheetrock throughout the house and not just the ceilings. The difference in price certainly pales in comparison with the difference in the overall finish of the walls. We’ve covered why the 5/8″ drywall is better in the finish and also has a better noise absorbing capabilities, are you now asking yourself if it’s too heavy to handle? Well, the answer to that is yes, and no. Of course, the 5/8″ sheets of drywall will be much heavier than the 1/2,” but now you can buy a lighter 5/8″ sheetrock called USG UltraLight Firecode Tapered Edge Gypsum Board. You can find this type of drywall at your local home depot or by clicking this link. USG Ultralight 5/8″ drywall was designed as a lightweight alternative to standard 5/8″ type X panels. The USG Ultralight is 30% lighter than the 5/8″ alternative (27 pounds to be exact) without sacrificing performance or appearance. You can use these wallboards anywhere type X boards are not needed to reduce noise or act as fire resistance. You could use the standard 5/8″ drywall where you want a more soundproof room. And use the Ultralight for the rooms where noise reduction is not an issue. UltraLight Firecode 30 5/8 in. x 4 ft. x 8 ft. Tapered Edge Gypsum Board from Homedepot. The Ultralight is optimized for non-rated and 30-minute fire partitions such as tenant improvement projects where nearly 80% of the walls do not require an hour-long fire rating. The Ideal place to use the Ultralight boards versus the standard boards is for contractors that want to use 5/8″ wallboard instead of 1/2″ for improved strength and impact resistance especially in high-end custom homes and commercial construction on steel studs. Ultralight wall boards are also an excellent choice in an office remodel as long as the partitions between the offices and the conference rooms do not need to be fire rated. One thing to note if you’re a building contractor or if you’re building your own house, with the lighter drywall sheets, each person can install between three and five wallboards each day compared to the standard 5/8″ wallboard. That might seem small, but when you have a large crew working on a project, that number can add up and save a lot of time and in return, save money. Let me know what type and thickness drywall you have in your home. Also your thoughts on the finish and quality and of course, the soundproofing. Thank you for taking the time to read this article, I hope you learned something and that we see you revisit our website. Don’t forget to share with any friends or family you may know that would benefit from this information.